There are some things that are best kept simple. When, for example, I have the opportunity to open a really good bottle of red wine I’m inclined to line it up beside a sizeable chunk of Tasmanian eye fillet or rib on the bone, thoroughly sealed on both sides and finished in the oven. When that’s done, deglaze the pan juices with water and a tad of the red (I’m not in the habit of overdoing the sauce when I’m looking at a $50 plus Halliday 95 or 96 pointer) and serve with some mashed potato and steamed broccoli or zucchini. It’s something that allows you to enjoy the complexities of the wine and the fall apart tenderness of the beef without having too many other factors getting in the way. 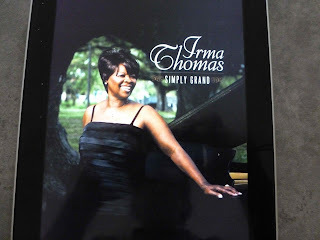 Given Irma Thomas’ status as arguably the greatest of the female R&B and soul voices to come out of New Orleans you might be tempted to surround her with upbeat fonk, heavy on the horns and it would probably come out OK. Thomas, however, always comes across as a little understated, medium rare as opposed to well done to continue the steak analogy, and those vocal tones work best, for mine, over a minimalist, uncluttered backing. Here, the concept is straightforward. Take Irma, give her some ballads and set her beside a piano, bass and drums trio and let things run their course. This could have worked pretty well with any one of the ivory-tinklers on display here, but rather than sticking with one player they’ve recruited the pick of the New Orleans piano practitioners (Henry Butler, Dr. John, Jon Cleary, Tom McDermott, David Egan, Ellis Marsalis, Davell Crawford and Marcia Ball) and a couple of notable ring-ins (Norah Jones, John Medeski, Randy Newman) and only one notable absence (Allen Toussaint). John Fogerty’s River Is Waiting with Henry Butler on piano and a gospel trio in the background is straight out of church, which the following track, If I Had Any Sense I'd Go Back Home, a Louis Jordan cover, isn’t as Irma and Dr John give the lyric a resigned reading. 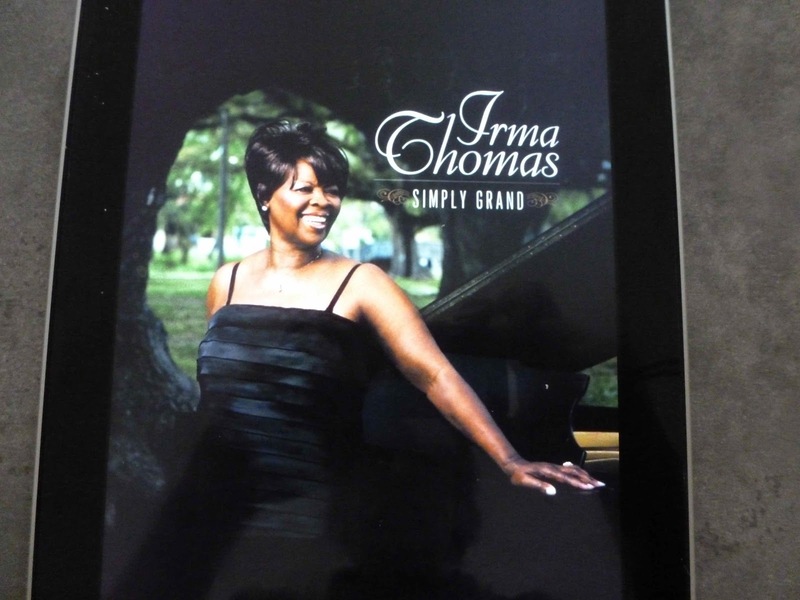 Jon Cleary’s the guest pianist on Too Much Thinking as Irma addresses the problems you have when you’re too busy to worry about minor considerations like rent, bills and all those other things you can’t do anything about. It’s back to Louis Jordan territory for Early in the Morning with Tom McDermott looking after the accompaniment on a track that lacks the fire of some other readings. It’s one that may be getting the shuffle treatment when it turns up by itself a a little further down the track. I’m not entirely convinced by the Burt Bacharach co-write What Can I Do either. Lil' Band O' Gold‘s David Egan provides Underground Stream and looks after the keyboard duties on a gospel call for regeneration, complete with choir, and the combination works better than the two tracks that preceded it. One that’ll work its way into myTop 1500, and if I was still doing the radio bit it’d be getting a regular spot on the airwaves. Norah Jones takes over the keyboard for Thinking About You, which is a little restrained after the preceding track. Better, and more assertive is Dr John’s contribution to Be You, a track he co-wrote with the great Doc Pomus, originally intended for Etta James. Dr. John played on Irma’s first recording session (You Can Have My Husband But Don't Mess with My Man) back in 1959 and his work here delivers a playfully funky counterpoint to a playful shimmying vocal. This Bitter Earth was a hit for Dinah Washington some fifty-plus years ago, and gets a smoky nightclub style treatment here with elegant but quite restrained backing from Ellis Marsalis and delicate upright bass and hi-hat action on the drums, and it’s a similar story when David Torkanowsky returns for Cold Rain (he’d provided the piano part for the Bacharach number) the combination works much better than it did earlier as Irma meditates on the cleansing that follows a storm. Allen Toussaint wrote Somebody Told You and Irma recorded it way back in 1962, but this time it’s John Medeski rather than Toussaint providing the backing while Thomas testifies. Overrated features Davell Crawford on an R&B ballad that’s rather soft around the edges and in danger of attracting smart-arsed references to the title. Along with What Can I Do, it’s one of the weaker tracks on an album that’s pretty consistent otherwise. There’s a more spartan turn around the eighty-eights from Marcia Ball on Don Nix’s Same Old Blues, though there’s a gospelly twist there that definitely ain’t the same old barrelhouse variety. But the album’s highlight comes when Randy Newman slips onto the stool in front of the keyboard for I Think It's Going to Rain Today. Newman’s bleak vision, with hope and desolation presented as opposite sides of the same coin makes for a moving meditation in the aftermath of a disaster, and Thomas’ understated vocal delivers a poignant combination of heartbreak and vulnerable dignity. Stunning. And, when you look at the title, the title says it all. Simple, slightly modified to fit grammatical requirements and grand, as in piano, and also as in the dictionary definitions. all of which are taken from the Dictionary app on my Mac (which, in turn, is taken from the New Oxford American Dictionary, so we're talking authoritative here, folks.